Born and raised in Texas and having served in the army, Easy Rawlins knows all about how black men are expected to act in white institutions. Despite this, after a long shift working in an aircraft plant in Los Angeles he has a falling out with his boss and is laid off. It’s the summer of 1948 and he doesn’t have a lot of options, but he’s determined meet the mortgage payments and to keep his newly bought house. When he’s offered a $100 by a white lawyer to find Daphne Monet, despite reservations, he accepts the job. It seems that Daphne likes the company of black men and Easy works his way round the bars trying to pick up a lead. What he finds is a trail of bodies and a complicated knot of people either looking for, or seeking to protect, the devil in a blue dress. Worse, the police have him pegged as the person leaving the trail of bodies. He needs to find Daphne fast, hand her over and find a safe exit, assuming he can resist her deadly charms once he locates her. 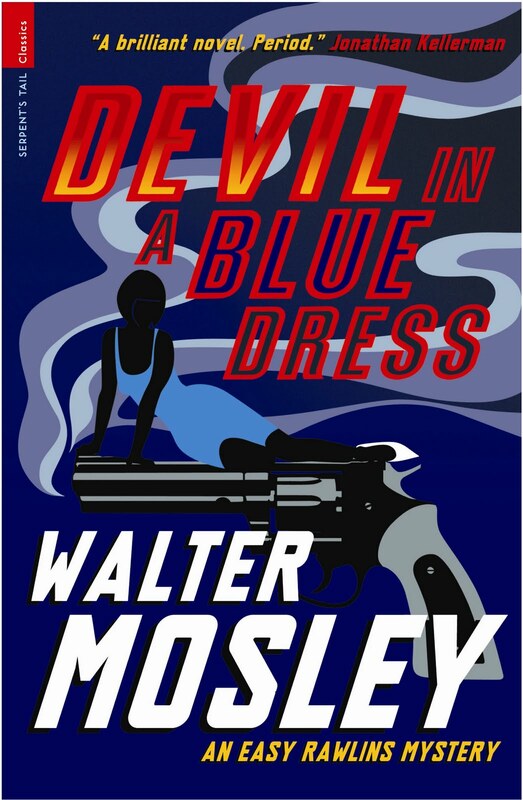 The Devil in the Blue Dress is a noir tale full of racial and sexual tensions set in the post-war Los Angeles. 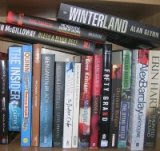 The strengths of the novel are the characterisation, contextualisation, and sense of place and time. Easy Rawlins is an interesting lead character: a man who wants to pull himself up into the middle class but finds himself scrabbling around in the underworld to keep that dream from slipping by; he’s familiar with death from his time fighting across Europe, but he has little appetite for the murderous situation he finds himself in. As such, his moral compass is generally pointed in the right direction, but he’s prepared to let it waver, especially as he lives in a community where right and wrong are various shades of grey and he has to negotiate the racist attentions of powerful white men. To complement him, Mosley fills the story with a set of colourful, dangerous characters. The tale is particularly good at portraying the racial geography of the city, its seedy nightlife and petty crime, and dropping in small historical references. The plot was interesting, but felt a little opaque at times given the number of characters and their shifting allegiances, and some elements didn’t seem to quite sit right. Nonetheless, it was an entertaining read, told in a style that is all tell and no show, and is full of noirish atmosphere. Rob - I very much like the atmosphere that Mosley creates in his novels too. And he builds tension very well I think. It's interesting to see time pass throughout the series.